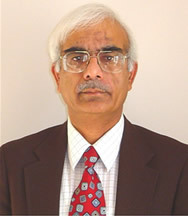 Dr Afzal Shahid is a physicist by profession but a prolific w riter of Urdu and Punjabi poetry. He has written more than half a dozen books of verses and all that by sitting in Atlanta (Georgia). After a PhD in physics and a short teaching stint at Govt. College of Science in Lahore he migrated to America and worked in the famous Bell Laboratories from where he got recently an early retirement. At present he teaches in a College and devotes his whole extra time in following his favorite pursuit of reading and writing poetry. Hailing from Shahkot (Sheikhupura)—the district that boasts of being the home district of Waris Shah –Afzal Shahid has drawn lot of inspiration from that great Punjabi poet. That is why his latest project is translating Heer into English in the same rhyme scheme that Waris Shah uses in his Heer. After going through some of his translations of Heer when once I asked him to send me translations of those famous Heer Waris Shah stanzas like Doli charrh dean mariyan Heer Cheekan Shahid surprised me by writing back that those stanzas are not of Waris Shah but are wrongly attributed to him. Anyway translating Heer is an incredibly difficult proposition but he intends to complete it as he did with the poetry of Ghalib that he translated into Punjabi. (If you want to see a spectrum of colors read my Persian poetry. The special thing about Sufi sahib who was indeed a scholar of Persian language is that he translated some of the Persian ghazals of Ghalib into easy and simple Punjabi. Sufi sahib was a popular Punjabi poet too. Another poet who has tried to translate Ghalib is Aseer Abid. And the latest addition is that of Afzal Shahid’s Chobh Sui Di (The Prick of a Needle). About Shahid’s Punjabi poetry in general Sibtul Hasan Zaigham has commented ,”In spite of being an original poet Shahid has delved deep into the Punjabi classics. His poetry has its melody derived from Ragas and one can also find his poetry’s connection with classical poets. He draws inspiration from Sufi school of thought on one hand and on the other is fully conscious of the problems of common man on the mundane level”. Shahid still longs for his native Punjab but laments the changes brought by time and environmental depredation.